…Israeli military officials reported that the tunnels are stocked with tranquilizers, handcuffs, syringes, ropes and other materials used for subduing abductees, civilians and soldiers. The tunnels also had fantastic quantities of explosives and additional military materiel meant to be used in the up-coming mega attack. Much of these explosives had already been placed underneath Israeli kindergartens. Some of these tunnels were as deep as 30 meters underground. The italics are mine. We are not dealing with civilized people. The really bad news here is that the technology and strategy connected to these tunnels is also appearing at the United States’ southern border. This is not Israel’s war–this is the war for Western Civilization. On Tuesday Time.com posted an article about the Transparent Airlines Act, which had just passed in the House of Representatives. The law allows airline ads to exclude government fees. Therefore the consumer could easily be misled as to how much his flight will cost. As MONEY’s Brad Tuttle reported in April, $61 dollars of a typical $300 flight comes from federal taxes–20% of the overall ticket price. Under the new law, airlines could ignore that portion of the fare and advertise the same flight at $239. Could anyone actually buy that flight for $239? Of course not. One argument by those who favor the law is that it will allow consumers to see exactly how much government fees add to the price of airline tickets. That may be true, but when I buy an airline ticket, I want to know exactly how much it will cost me–not a number that may actually be 20 percent less than the actual cost. …a grassroots, nonprofit, nonpartisan organization, advocates minimum government and maximum freedom. We are dedicated to the preservation of free enterprise and the United States Constitution. Excessive taxation upon citizens is unconstitutional, immoral, and a complete contradiction of success through the free market system. We are dedicated to serve our community, our state, and our country by oversight, research, public education and advocacy in the legislative, executive, and judicial branches of government. They are active in Craven County and the surrounding counties in Eastern North Carolina. The Chairman of their Watchdog Committee is Hal James. I had the privilege of talking with him this morning to find out what the Watchdog Committee is watching. One of the goals of the Watchdog Committee is to stop the continuing expansion of local government into areas that are private responsibilities. Mr. James pointed out that the County Commissioners are currently talking about a federally qualified health center and an in-patient hospice business. Both of these endeavors should be left to private enterprise. The County recently sold its home hospice business, why are the Commissioners talking about opening an in-patient hospice? Why are the Commissioners looking for a Certificate of Need (CON) for the in-patient hospice when there is a relatively new facility in Newport? The second important goal of the Watchdog Committee is to encourage conservative candidates to run and hold their feet to the fire once they are elected. The CCTA does not endorse specific candidates, but they do provide information on where the candidates stand on various issues. The CCTA has a vetting process where candidates are asked 26 questions relating to Constitutional principles. The candidates’ answers are then posted on the CCTA website. The USDA provided guidance to local governments and auditors that the CFDA should not appear in the Schedule of Expenditures of Federal and State Awards (SEFA) beginning with fiscal 2010. Instead the amount is shown in the footnotes, making it appear that the budget was cut–when that was not the case. I realize that these audits are something that most of us do not have time to investigate or look at, but they have a definite impact on our lives and the lives of our children. We need people like Hal James to take the time to go through our County expenditures and explain to us how things work. Please support the CCTA and organizations like it that are helping to inform the taxpayers and helping us slow down the exponential growth of government and government spending. UNRWA is the United Nations Relief and Works Agency. They have hospitals, schools, and clinics in Gaza. Today the Times of Israel is reporting that three IDF soldiers were killed in a booby-trapped UNRWA health clinic that housed the opening of a tunnel. The soldiers were taking precautionary measures to limit the damage to the building while blowing up the tunnel when the explosives rigged by the Hamas fighters detonated, collapsing the building and killing the soldiers. UNRWA apologized for the incident, but obviously did not change its actions. The article at the Times of Israel reports that many of the buildings that house the tunnels have been booby trapped. Turgeman ( IDF Southern Command head Maj. Gen. Sami Turgeman) said the IDF is “days away” from completing the military goal of destroying all of the tunnels, though the process is complex. Four tunnels have been destroyed in the past 24 hours, he added. Turgeman revealed that the IDF expanded its operation on Tuesday night, targeting new sites in the north and center of the coastal enclave. With the amount of concrete Hamas poured into the tunnel project, two hospitals, 20 schools, 20 healthcare centers, and 100 kindergartens could have been built, he said. It is a shame that the United Nations did not supervise Gaza to make sure that hospitals, schools, and healthcare centers were built instead of the tunnels used to attack Israel. I truly believe that with the building of these tunnels, Gaza has given up its right to be an independent state. Breitbart.com posted an article today the current state of the American economy. The article points out that the current stated unemployment rate of 6.1 percent does not tell the whole story. The article also mentions the fact that many of our young people are being encouraged by colleges to obtain degrees in subjects that are of limited value in the workplace. These students graduate with massive debt and no marketable skills. It’s time for a new economic policy for America. In order to gain support of the population, Hamas does engage in charitable endeavors. The organization works in the way that the Mafia works in America–they do favors and collect on them. They also set up charities to raise money and to provide cover for their terrorist activities. Hamas also has a provision in its charter that calls for the total destruction of Israel. So why do I mention this? Hamas “is a humanitarian organization,” House Minority Leader Nancy Pelosi told CNN’s Candy Crowley on Sunday in a discussion of how the U.S. should handle the Islamist extremist group’s conflict with Israel. The article reminds us that Hamas is the Palestinian branch of the Muslim Brotherhood and has been on the U.S. State Department‘s list of foreign terrorist organizations since 1997. The article also points out that Qatar is a major sponsor of Hamas–financially and ideologically. 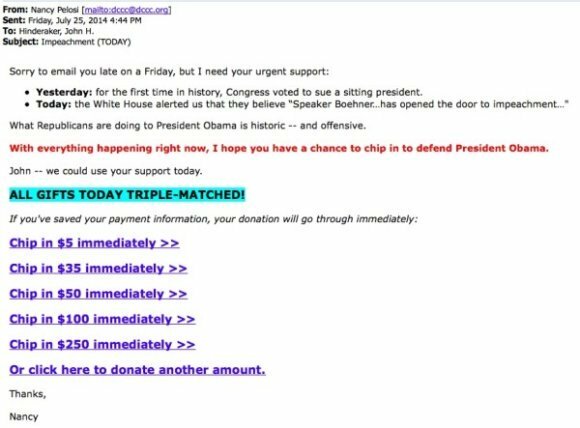 As a member of the House of Representatives, Representative Pelosi should be better informed. Scott Johnson at Power Line posted an article today about the hospital in Gaza that was supposedly attacked. The Israeli army said it was not operating in the vicinity of Shifa Hospital in northern Gaza on Monday, where an explosion reportedly killed and wounded dozens of Palestinians. “A short while ago Al-Shifa Hospital and Al-Shati Refugee Camp were struck by failed rocket attacks launched by Gaza terrorists,” the army said in a statement sent to reporters. The failed attempt to fire the projectile apparently hit a car near the center, according to Israel’s Channel 2 News, causing the casualties. The station said that a “Hamas Fajr-5 rocket aimed at central Israel, which was fired from a playground outside the Shifa hospital and exploded on the site causing casualties, had at least a 100 kg (220 lbs) warhead,” according to The Times of Israel. The fact that Hamas uses a hospital as a base of operations and fires rockets from a playground tells us all we need to know about how Hamas feels about protecting civilians. Today’s New York Post posted an article about the calls for a cease-fire in the Israeli–Gaza conflict. Michael Goodwin, who wrote the article, points out that even with a cease-fire, there is no way to return to the status quo. 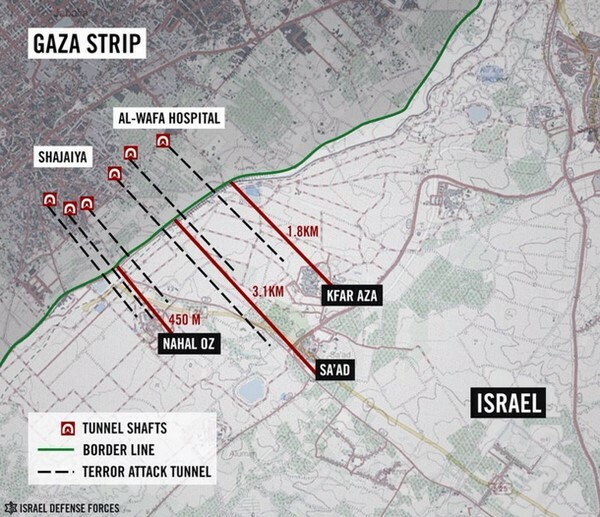 The discovery of the complex network of tunnels from Gaza for the purpose of attacking innocent Israelis and destroying Israel cannot be ignored. Prime Minister Benjamin Netanyahu already declared that the threat caused by the tunnels means Israel cannot accept a fully sovereign Palestinian state in the West Bank. “If we were to pull out of Judea and Samaria, like they tell us to,” he said in speech four days after the war began, “there’d be a possibility of thousands of tunnels” being dug to attack Israel. Veteran Israeli journalist David Horovitz, writing in the Times of Israel, said the speech “spells the end” to any notion the prime minister would ever agree to the kind of free Palestinian state that President Obama and most of Europe, along with the Palestinians, demand. Gaza has forfeited its right to become an independent state. It has taken the money given to its leaders for infrastructure and used it for weapons. It is not lost on Israelis that the tunnels were reinforced with steel and concrete. The supposed shortage of building materials in Gaza, routinely denounced as cruel by ­Israel’s critics, did not stop Hamas from diverting tens of thousands of tons into preparation for war. That material could have been used to build houses, hospitals or schools. 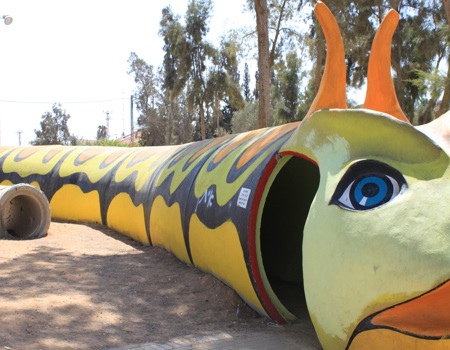 The tunnels even could have served as bomb shelters to protect Gaza’s civilians from Israeli bombs. Instead, a determination to kill Jews took precedence over every ­aspect of life in Gaza. That included Hamas leaders urging and sometimes forcing civilians to stay in the line of fire, turning them into human shields to protect rockets and ­ammunition dumps. Nothing better illustrates the Hamas culture of ­hatred and death. And now that nihilism, endorsed by Gazans who elected Hamas as their government, has destroyed any chance of a sovereign Palestinian state in the near future. Naturally, much of the world will use a new Israeli hard line to accuse it of genocide and apartheid, blah blah blah. But the facts are clear: Once again, the Palestinians have only themselves to blame. When a man who was in jail for armed robbery gets out of jail, you do not hand him a gun (or the money to buy one). Gaza was given a chance to become a sovereign state. The first thing they did was destroy the greenhouses that would have allowed them to prosper. Until they can behave, they should not be allowed to have a country. Today’s Jerusalem Post is reporting that a flotilla is preparing to set sail from Turkey to Gaza to bring humanitarian aid. According to the report, the flotilla will be protected by the Turkish military. Israel has sent humanitarian aid to Gaza. They have treated residents of Gaza in Israeli hospitals with the same care given to Israelis. As word gets out that Hamas is using human shields and storing weapons in schools, Hamas begins to lose the propaganda war. The flotilla is an attempt to turn public opinion against Israel. Meanwhile, America is promising aid to Gaza. Where has the aid to Gaza gone in the past? It certainly has not been spent on the people or the infrastructure. The money we give to Gaza goes to weapons and to line the pockets of the leaders of Hamas and Fatah. It is time that we attached enough strings to any money given to Gaza so that we know it is spent on the people there to raise their standard of living. If we can’t do that, we should cut off the money. Yesterday Kim Strassel posted an article at the Wall Street Journal entitled “The ObamaCare–IRS Nexus.” It is subscriber content, but if you google the title, you can read the entire article. The article details the role of the IRS in the implementation of ObamaCare and the questionable steps the agency has taken in that implementation. It gets worse. The article tells us that in late summer of 2010, after ObamaCare was signed into law, the IRS assembled a working group—made up of career IRS and Treasury employees—to develop regulations around ObamaCare subsidies. The early group followed the text of the law and declared that subsidies were for exchanges established by the States. …To summarize: The IRS (famed for nitpicking and prosecuting the tax law), chose to authorize hundreds of billions of illegal subsidies without having performed a smidgen of legal due diligence, and did so at the direction of political taskmasters. The agency’s actions provided aid and comfort to elected Democrats, even as it disenfranchised millions of Americans who voted in their states to reject state-run exchanges. And Treasury knows how ugly this looks, which is why it initially stonewalled Congress in its investigation—at first refusing to give documents to investigators, and redacting large portions of the information. Congratulations. We have become a banana republic. The law is what the political party in power says it is. The IRS is an organization to be used to silence and suppress political opposition. The use of the IRS for political purposes was the second article in the Articles of Impeachment against Richard Nixon. On Sunday, I posted an article about UNRWA. giving back weapons to Hamas after the weapons were found in an UNRWA (United Nations Relief and Works Agency for Palestine Refugees in the Near East) in Gaza (rightwinggranny.com). Well, it is getting worse. Today’s Jerusalem Post is reporting that the UN Human Rights Council decided yesterday to open an international inquiry into Israeli violations that may have been committed during Operation Protective Edge in Gaza. This is the same UN Human Rights Council that sat silent as rockets from Gaza rained down on the civilian population of Israel.This is the same UN Human Rights that sat silent as Hamas protected their rocket launchers by placing them in hospitals, mosques, and in civilian populations. 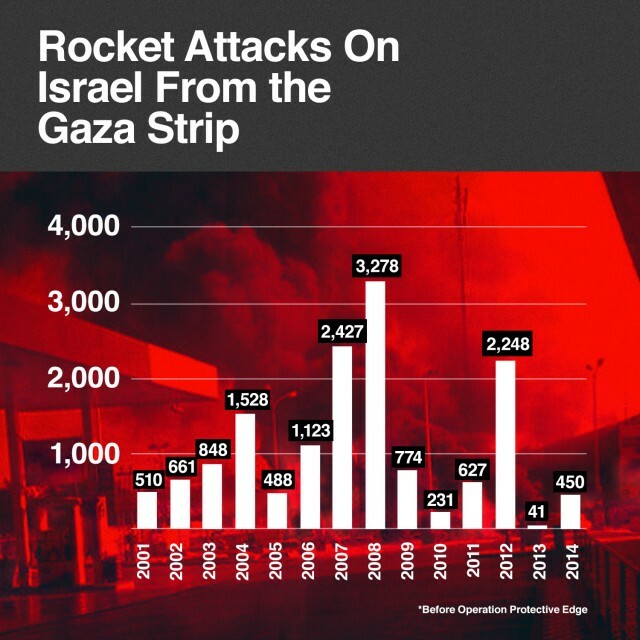 Where is the investigation of the rockets fired on Israeli civilians from Gaza? It is time for America to stop funding the United Nations. If we want an international organization dedicated to human rights and world peace, we need to start our own with the democracies and free nations of the world. CBN News is reporting today that Meriam Ibrahim has left Sudan and is currently in Italy. Mrs. Ibrahim was in prison in Sudan because she had married a Christian and was a Christian. Her father, who was not involved in her childhood, claimed that she was a Muslim and had converted to Christianity. In Sudan, that is a crime punishable by death. She was pregnant when she went to prison and was forced to give birth while in chains. She was freed because of international pressure on Sudan. Her husband is an American citizen. Perkins (Family Research Council President Tony Perkins), who also testified before the House panel, agreed, suggesting the Obama administration has dropped the ball on addressing religious persecution. Under Sharia Law Mrs. Ibrahim was eligible for the death penalty. There is no religious freedom under Sharia Law. Yesterday Hot Air posted an article citing some comments by former Secretary of State Madeleine Albright. …she (Secretary Albright) conceded that it is hard to dispute that forces loyal to Hamas in the Gaza Strip are using human shields in order to protect their military assets. She implied that this tactic has resulted in an inordinate number of Palestinian causalities over the course of the ongoing conflict with Israel. World opinion will probably force Israel to stop fighting before it cleans up the rocket launchers and tunnels in Gaza. Unfortunately that will result in continuing rocket attacks and the need for Israel to invade Gaza again in the near future. The only way to stop the rocket attacks on Israel and the civilian casualties in Gaza is to allow Israel to destroy Hamas in Gaza. Unfortunately the world has lost its moral clarity and does not have the integrity to allow Israel to do that. Yesterday the New York Post posted an article about fraud in ObamaCare. Because of the way ObamaCare is designed, there are ways that people can sign up using fictitious identities and not be immediately discovered. The nonpartisan Government Accountability Office says its undercover investigators were able to get subsidized health care under fake names in 11 out of 18 attempts. The GAO is still paying premiums for the policies, even as the Obama administration attempts to verify phony documentation. The agency’s findings are contained in testimony to be delivered at a House Ways and Means Committee hearing Wednesday. An advance copy was provided to The Associated Press. Seto Bagdoyan, head of GAO audits and investigations, will also testify that there’s still a huge backlog of applications with data discrepancies, even though the administration has resolved some 600,000 cases. Contractors processing applications for the government told the GAO that their role was not to ferret out potential fraud. Five of six bogus phone applications went through successfully. The one exception involved an applicant who refused to provide a Social Security number. Six online applications were snagged by an identity checking system. But investigators just dialed a call center and all six were approved. That seemed to be an open pathway to coverage. The GAO also tried to check the reliability of counselors providing in-person assistance. In five out of six cases, investigators were unable to get help. In the final case, the counselor correctly told the undercover investigator that their stated income would not entitle them to subsidized coverage. This is what happens when you have to pass the bill to find out what is in it. Israel turned Gaza over to the Palestinians (there has never actually been a Palestinian state) in 2005. Just to refresh your memory, there was no cry for a Palestinian state until after the 1967 war. As Walid Shoebat stated, “One day during the 1960s I went to bed a Jordanian Muslim, and when I woke up the next morning, I was informed that I was now a Palestinian Muslim, and that I was no longer a Jordanian Muslim.” That is a part of the history of the Middle East that is often ignored. Please remember when you hear the hysterical cries of Palestinian casualties that those casualties are planned by the Palestinian government. When Israel tells people to leave an area they are about to attack, the Palestinian government orders the civilians to stay there–the Palestinian government understands the optics of Palestinian civilian casualties in the propaganda war. Israel is not targeting civilians–the government of Gaza has targeted Israeli civilians for years. Don’t believe the current propaganda. A Senator from Massachusetts made an insightful statements about the future of our nation. That Senator was Daniel Webster. The first step would be to jeopardize the country’s financial stability. Increasing the national debt by $7 trillion is a good starting point, and letting the debt keep growing until it overtakes the country’s gross national product is the death knell. sufficient. When takers outnumber taxpayers, the system will collapse. The second step would be to destroy U.S. credibility abroad. Spying on our friends doesn’t help our relationships. …Another step would be to toss out our governing principles. Ignoring our Constitution along with the two other equal branches of government destabilizes the fabric of our society. Changing laws by executive fiat rather than the legislative process undermines our democracy. Our Founding Fathers wrote the Constitution so no one person could dictate. The document empowers the branches of government so there are checks and balances. Without them, we become a dictatorship. Lastly, you would neglect one of the basic principles: protect the people. Thomas Jefferson said, “A nation without borders is no nation.” Allowing people from other countries to hop, skip and jump over the border is a nonviolent invasion. The obvious conclusion is that our destruction is happening as America watches television and tunes out politics. Unless the American voter wakes up and begins to pay attention and get involved, we will see Senator Webster’s prediction come true.